Diageo North America has once again gained 100 per cent on the Human Rights Campaign Foundation's annual Corporate Equality Index for LGBTQ Workplace Equality. This highlights Diageo's ongoing commitment to creating a diverse and inclusive workplace. Human Rights Campaign (HRC) is one of the largest LGBTQ civil rights organizations in the United States. HRC's vision is for all LGBTQ people to have equality at home, at work and in every community. Its Corporate Equality Index is the national benchmarking tool on corporate policies and practices pertinent to lesbian, gay, bisexual, transgender and queer employees. Nearly 1,000 companies like Diageo were judged for their non-discriminatory policies, transgender-inclusive health care benefits, employment benefits, responsible citizenship and support of an inclusive culture, including public commitment to LGBTQ equality and public engagement with the LGBTQ community. 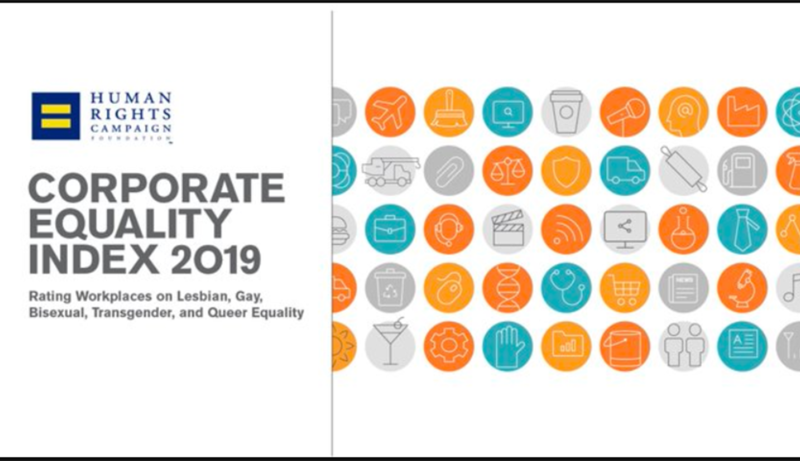 Diageo has always been an active supporter of equal rights was one of 76 major companies to sign the Human Rights Campaign's amicus brief supporting equality and LGBTQ rights in the workplace. "This is a tremendous honor for Diageo," sayas Tara Hunt, General Counsel for Diageo North America. "Our longtime partnership with the HRC and their Corporate Equality Index is a source of great pride, not only for our employees but for our consumers. This is the perfect way to live our company's purpose of celebrating life every day, everywhere and for everyone." Women's work is valued at Diageo and they thrive with the support and opportunities given to them in the company. As one of the leading alcoholic beverages companies, Diageo offers a wide range of opportunities to talented women. Learn more and apply now!